Welcome to the The Lego Ninjago Movie Videogame Red Bricks Ancient Scrolls locations guide that helps you find the total of 10 Ancient Scrolls AKA Red Bricks locations in the PS4, Xbox One, PC and Switch action-adventure game. The Timeline for all these in-game Red Bricks AKA Ancient Scrolls locations is listed below. Collecting Red Bricks Ancient Scrolls in levels will allow you to purchase useful gameplay extras and cheats. * “Student of the Red Arts” (10 Gamerscore / Bronze Trophy) — Collect an Ancient Scroll. * “Master of the Red Arts” (50 Gamerscore / Silver Trophy) — Collect all Ancient Scrolls. 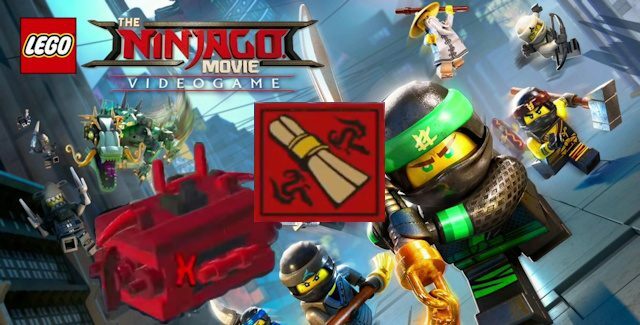 Where to find all Red Bricks Ancient Scrolls in The Lego Ninjago Movie Videogame? The in-game collectibles locations for the Red Bricks Ancient Scrolls are described in this detailed video guide. The Red Bricks Ancient Scrolls are listed in the step-by-step video, in the order that they appear chronologically per chapter / area. • [00:00] — Ancient Scroll Location #1: Master of Detection (Collectable Detector) – Found in Ninjago City North. • [01:00] — Ancient Scroll Location #2: Master of Summoning (Stud Magnet) – Found in Ninjago City Beach. • [02:09] — Ancient Scroll Location #3: Master of Speed (Fast Build and Interact) – Found in Ninjago City Docks. • [03:51] — Ancient Scroll Location #4: Master of Time (Old Movie Mode) – Found in The Uncrossable Jungle. • [06:30] — Ancient Scroll Location #5: Master of Elements (Ultimate Spinjitzu) – Found in The Dark Ravine. • [07:57] — Ancient Scroll Location #6: Master of the Forbidden Dance (Disco Mode) – Found in The Lost City of Generals. • [08:57] — Ancient Scroll Location #7: Master of Destruction (Destroy On Contact) – Found in The Unclimbable Mountain. • [09:50] — Ancient Scroll Location #8: Master of Fortune (x2 Studs) – Found in The Battlefield. • Ancient Scroll Location #9: Master of Endurance (Invincibility) – Unlocked by collecting all 21 Ninjanuity Tokens, which you’ll automatically collect if you play through the story without skipping any parts. • Ancient Scroll Location #10: Master of the Dragon (Infinite Skyward Dragon) – Unlocked by completing all 9 Dojo stages in the game. Dojo’s can be accessed from either the map or from within the Ninjago hub itself. — To finish all Dojo boss fights, check out the video guide above. I hope these tips helped you get all of the Red Bricks Ancient Scrolls hidden in the game. Huge thanks to YTSunny for the guide videos and tips. Please comment if you have any additional The Lego Ninjago Movie Videogame Red Bricks Ancient Scrolls location tips of your own, we’ll give you credit for it. – Thanks for visiting!